In 2017, Michael was listed by Forbes as a top CMO influencer and social media marketer. 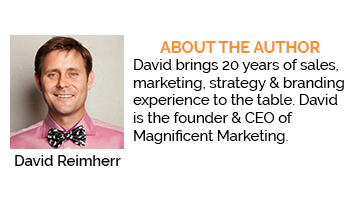 In his interview with Magnificent Marketing’s David Reimherr, Michael discusses a range of topics surrounding the modern marketing field, particularly his concept that HR is the new marketing and the importance of tapping into your employees’ talents. 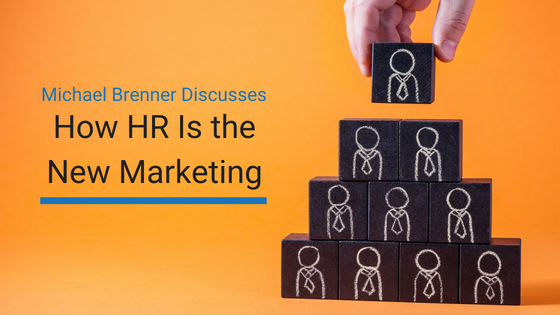 How Does HR Relate to Marketing? Michael believes we’re over-marketed, in terms of the constant influx of messages, content, ads, and interruptions. In fact, 75 percent of consumers say they wouldn’t care if the brands they actively use disappeared completely. To create further context, the Edelman Trust Barometer says that the people’s trust in institutions is decreasing every year. For marketers to avoid eliciting this same distrust, Michael suggests creating a healthy work environment. If employees are happy and engaged, then this will carry over into the marketing, and one of the most essential tenants of marketing is a human connection. If consumers sense that marketers are warm and inviting, as opposed to cold and distance, they end up being far more receptive. This is tantamount in modern marketing because, as Michael explains, the game is no longer about pushing out ads, but, rather, to activate passion and expertise in the marketers. How Do You Incorporate Your Employees into Your Marketing Efforts? While Michael doesn’t think HR and marketing need to be combined, he does believe there needs to be alignment between the two departments. For instance, Michael cites a company that has an employee whose job is to track employee performance, activation and engagement levels. By doing so, the company has employees that stay longer, are more engaged in their work, and are more productive. This bleeds into the marketing side of things, as this satisfaction and happiness result in content that resonates with their customers. For smaller companies that can’t afford to hire a single person to bridge the HR and marketing departments, Michael believes this same responsibility should be taken by the managers. Managers need to make their workers feel like their creations are valued. Another way HR can help integrate employee behavior into marketing is by encouraging them to share their personal content, whether it’s writing, videos, or music. Michael specifically brings up the example of cats. Even if cats have nothing to do with anything, potential investors might come across an employee’s passionate blog about cats and find it amusing. It creates an air of relatability around the company. Not every employee is going to be interested in creating content outside of work, however, so there’s no use trying to get everyone to do it. It’s particularly alluring to creative people who might need a nudge of confidence to start sharing their creations. Therefore, by integrating employee happiness with marketing, you create a positive feedback loop that reverberates throughout the entire company. How Much Do Companies Need to Oversee Their Employee’s Content? 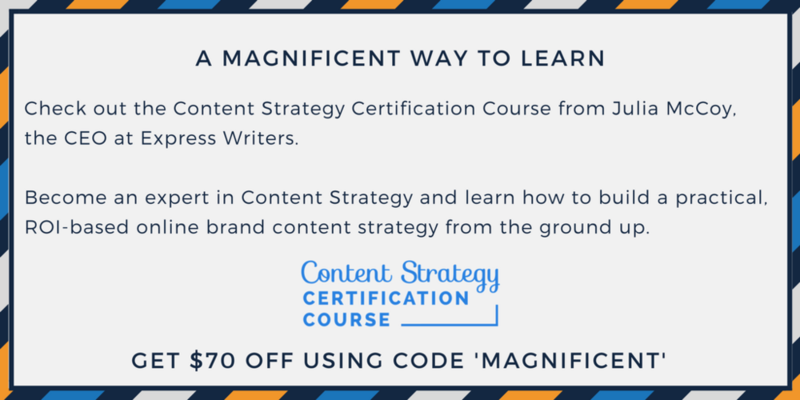 Large companies have a tendency to overthink, overmanage, overedit, and over-scrutinize the content that’s being created and shared, according to Michael. He believes it’s best for companies to pull back a bit, as this content isn’t about the company – it’s about individuals expressing themselves and sharing their own thoughts. As long as they’re in control of their own content, your employees will act as a volunteer army of contributors and creators. The only structure that’s necessary is scheduling and some teamwork when it comes to aspects that people aren’t good at. Michael uses the example of a writer who isn’t sure how to implement a picture into their blog post. A mostly hands-off approach also prevents employees from feeling like they’re doing extra work. Their content should feel like something they get to do, as opposed to have to do. For the oversight that should exist, Michael put together an editorial board and had a meeting where they identified editorial guidelines, social media guidelines, reporting expectations, and operating procedures. After that, his team did a series of monthly reports where they accumulated information on the employees’ content, such as who had the most popular blog. By collecting the metrics and spreading them through the company, content creating became gamified and everyone wanted to vie for first place. How Do You Convince Your Employees to Contribute? First of all, Michael once again stresses the fact that you can’t force employees to contribute if they don’t want to. Workers will end up feeling like they’re prisoners and being asked to do things they’re not comfortable with, which results in bad morale—the opposite of what you’re going for. Specifically, Michael finds great success in gamifying the creation and sharing of content. Employees wanted to make sure they had the best “influencer score.” By keeping metrics of employee engagement, you can also figure out what content works and what content doesn’t. For instance, Michael found that employees are more likely to share a video of the CEO talking about his family than a video of the same CEO talking about routine business matters. How Does Employee Content Creation Factor into Sales? At his own company, Michael found the initial employees who were most interested in the created content were the salespeople. He contends this is because salespeople know how to use that content in bolstering the company’s image. It’s in their DNA. While you can create a formal passageway for salespeople to use the created content, it’s highly probable that they’ll use it according to their own needs. In fact, Michael once again stresses that a hands-off approach is best. What Are the Most Common Mistakes of Employee Content Creation? The biggest mistake a company can make is to discourage sharing. 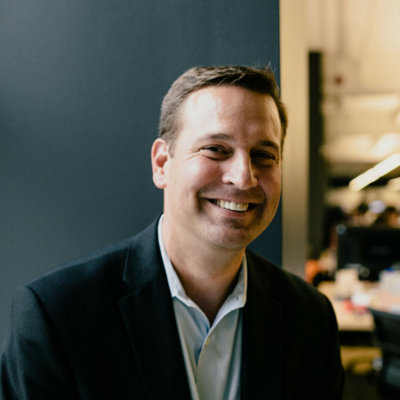 Michael believes that every employee should feel encouraged to create and share content, as opposed to being relegated to performing their basic duties. On the flipside, companies can go wrong by overdoing it, such as implementing a formal system for content creation. Encouragement is the key, not enforcement. While light gamification can be effective, making it too overbearing will result in a lack of participation. People are less likely to interact with inauthenticity. Where Can You Learn More About Michael Brenner’s Marketing Tricks? Michael Brenner can be found on his website, MarketingInsiderGroup.com, where he writes an article almost every day. These articles include information about digital marketing and content marketing leadership culture, among other subjects. He’s also on Twitter, Facebook and LinkedIn, and always invites new connections.